What is Design Intent? Design Intent in OpenRoads builds associations and relationships between civil elements. The object information (how, where, and by what method it was created) is stored with the object to ensure the original intent is retained and honored throughout the design. One of the key ways to facilitate design intent is by using MicroStation snaps and Civil Geometry and Civil AccuDraw tools. For example, if you wanted to snap to an alignment at exactly 90 degrees and you used the perpendicular snap, that would be remembered by OpenRoads and stored with the object. Then later in the design process if the parent alignment moved; your object that was snapped to that alignment would move to maintain that 90 degrees, thus maintaining the design intent. So you can see how it is very important to have a good understanding of this technology and how creating objects in your project can retain your design intent. 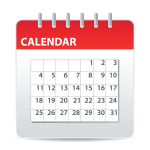 What is Dynamic Modeling? 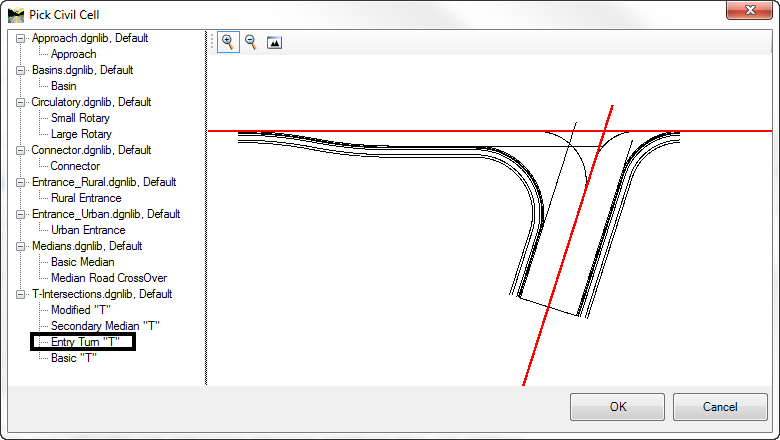 Dynamic Modeling in OpenRoads allows the user to make a change to a particular item. In OpenRoads that change will have a ripple effect through the entire design. 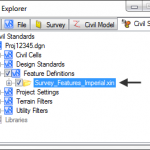 For example, if a surveyor adjusts a rod height in the survey data the graphics and terrain element are immediately updated. Another example would be if the designer updated a corridors horizontal geometry, the entire corridor model would update for plan, profile, and cross section. In previous versions of InRoads software if you wanted to create a profile it meant that you had to create graphics in your CAD file, a ‘profile set’. You would develop a vertical alignment in that ‘set’. This is no longer the case with the OpenRoads technology. Now the software allows you to simply pick a MicroStation view window and it becomes a dynamic profile view along the selected alignment. Typically designs are verified by viewing cross sections. 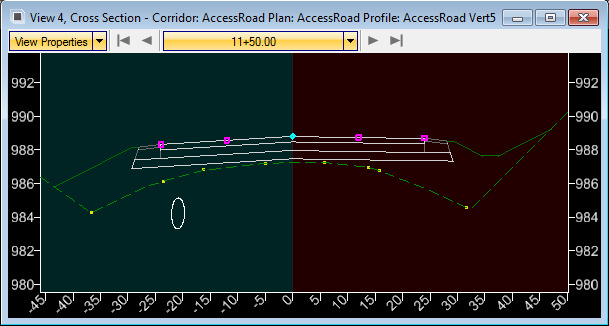 With OpenRoads technology cross sections are viewed dynamically just as profiles are. 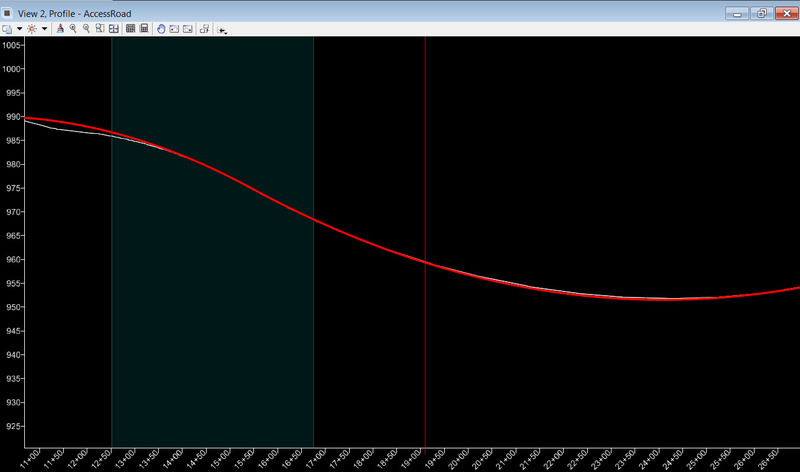 Any changes to the design model are automatically reflected in the dynamic cross section view. What is a Civil Cell? The purpose of a Civil Cell in OpenRoads is to allow a designer to easily model a “similar but different” design scenario quickly and easily. A few examples of this “similar but different” design might be a ‘T’ intersection, a traffic island, a round about, a driveway, etc. In each of these cases they are similar to each other because they all have the same components, but they are different in that they might have different parameters such as width, return radii, slope, etc. By using a civil cell with pre-established geometry, terrains, end conditions, etc. the user can simply place the cell where they need it and adjust any parameters per project specifications.